A few issues ago I tested the Irwin Record jointer, and found it to be a good plane for the money, but thought it could do with a bit of tweaking. 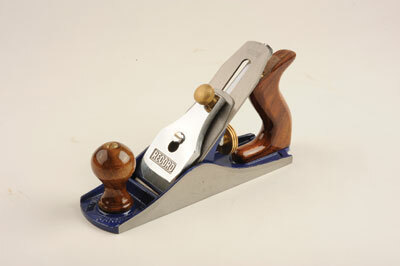 We've also got the marque's smoother plane in the Pocket Workshop, so as I've been using it for a while now, I thought it time to give it a proper review and tell you if it is as good as the jointer. As with all new planes, first off, it needed tuning and sharpening. When flatting the sole, the results weren't too bad. After a few rubs, you could see high spots around the outside of the casting, but these were not too high, and after half an hour, I had the thing perfectly flat. I wish the same could be said about the blade. 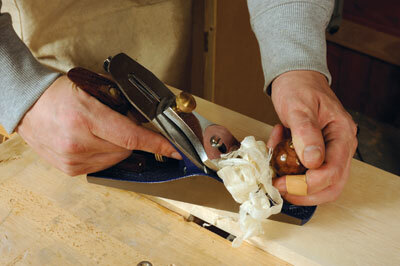 Now, the blade in the jointer needed quite a bit of work, and this blade needed even more. After a good half an hour of flatting it still wasn't up to scratch. I didn't have the time for a full flatting off of this blade, so replaced it with one from an older smoother that I knew had worked well when used in my Pocket Workshop. This was handy, as it meant I could test the rest of the plane fairly. As expected, with a nice flat blade, the plane worked really well. The knob tightener for the cap iron and nice smooth depth of cut screw knob allowed me to set up the plane very nicely, and it worked very well, even on a bit of hardwood like the sycamore seen in the picture above. This smoother is great value, and you can pick one up for an absolute song on the internet. The blade, particularly, needs a lot of work, but the body casting is basically good. Given that the blade on this plane needed quite a lot of work, you can't go wrong for the price.